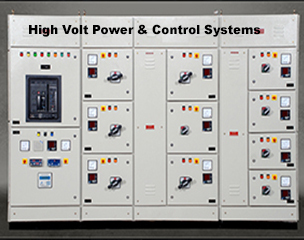 Based in Ahmedabad, We at High volt India are ISO 9001:2008 Certified having immense experience in manufacturing and designing exclusive range of relay control panel at very affordable prices to satisfy varied industry needs and demands. Having extensive experience in designing wide product range, we are able to establish ourselves as most reliable control panel manufacturers India and worldwide. We always believe in giving most innovative range of Control Panels India to our clients with continuous research and dedication. Our unique and impressive range of electrical Control Panel Relays facilitates increased profits and productivity for our client business. Backed by professional and skilled experts, we always manufacture our control panels after continuous research and deep analysis. Our expert team is highly reliable, educated and experienced. Our superior range of control and relay panel is especially designed to work with low electric power. 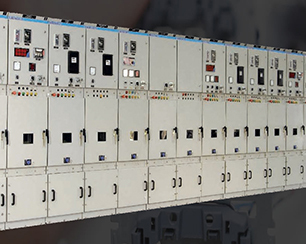 Our Electrical Control Panel Manufacturers unit though is termed as a small scale unit, Being most reputed control panel manufacturers India ; our manufacturing unit has all necessary tools to design high quality electrical control panels India as per our client requirements. Further, our products are closely checked under strict quality parameters to ensure best quality product without any error or flaws. We follow a stringent quality analysis process where all our products undergo a strict check for best quality. We are proud to mention that all our products are extremely qualitative and excessively used in various firms or sectors. 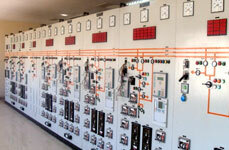 Why High Volt For Control Panels India? 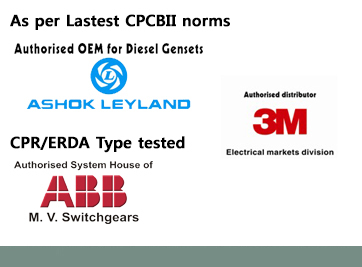 We are the trusted control panel manufacturers India working in the same industry for more than two decades. We have been maintained satisfied client base with our work in last few years and our products has wide applications in different industries. Our control and relay panel are especially manufactured for switchyards having capacity up to 220 volts. 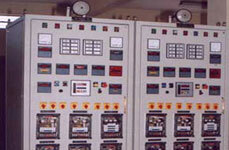 Our control panels India are also good to use with generators. Our control panels have automatic modular systems that are easy to use and safe to install at your work location. The control panels may have up to 48 relays based on client needs and application usage. By grabbing great amount of prominence as control panels manufacturers India, High Volt India believes in creating innovative designs of control panels in order to continuously enhance the genre of electrical. 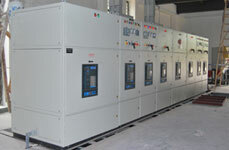 control panels and thereby provide an array of unique and impressive Control Panel Relays India and other electrical products to facilitate increased productivity among client firms. 1) With this Control panel you can provide automatic lighting regulator with the help of low volt switching platform. 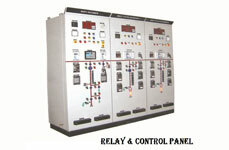 2) For applying exterior or interior control with automation modules you can use Highvolt Durable Control Panels India. 3) Highvolt’s Control Panels India comes with Modular design which can fitted easily in complex places. 4) With help of control and relay panel you can done Direct control of individual relays by switches or Any sensor. 1) Highvolt Relay control panel has a protective construction type like it comes with dust cover, Flux-Resistant type, sealed Type and sealed capsule Type. 2) The basic Control Panel Relays come with tub and cover, electric power supply, and Control Panels India has an interior with relays which make it user friendly. 3) Consumers can choose the quantity of relays needed. The Relay control tub, cover, and electric power supply provide the basic home and power machineries. 4) The Relay control interior delivers the rising structure for the system's relays, electric power supply, and the elective automation units. 5) Customers can select the Relay panel formation with up to 12, 24, or 48 relays, liable on the size and difficulty of their application. 6) Each electric lighting load is strengthened through a relay panel, which can be organized by either a low-electric voltage switch or an tenancy sensor.